You must make reservations at least 5 minutes in advance of the time at Spasso Italian Grill - Philadelphia. There are pay meters in front of the restaurant as well as a pay lot on one side of the restaurant. Unfortunately, we do not validate. Train And Bus Stops 2nd & Market Street 1 1/2 Blocks Away. Please contact us at info@spassoitaliangrill.com to arrange a private banquet. 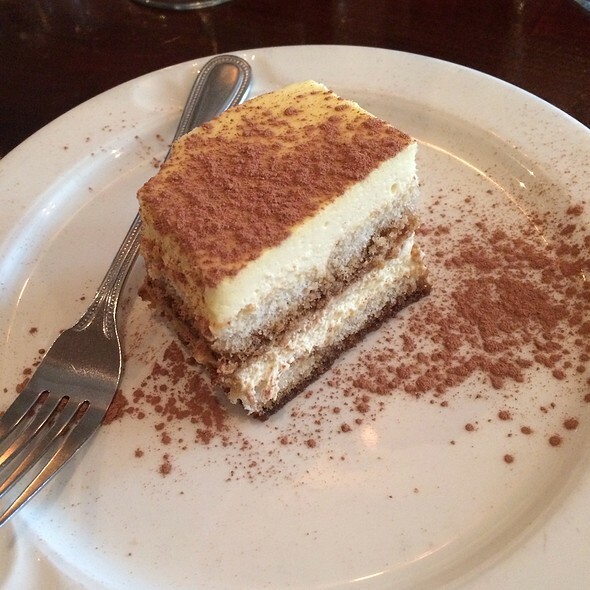 Spasso Italian Grill has been a neighborhood favorite for 20 years, specializing in homemade pasta, fresh daily seafood and tender veal all served at reasonable prices. Our relaxed atmosphere, personalized service & great food are sure to make you a regular. Our lounge is full service & also features tables for dining, happy hour is available in the lounge from 5:00 pm to 7:00 pm weekdays. Food was rushed. The pasta was still hard and inedible, and The lettuce of Caesar salad was brown. Food was lacking flavor. Overall it was not worth the price. The food was delicious and our server was wonderful. Couldn’t ask for a better experience! Everything was fine and I love the peppers and bread to start but I was disappointed when I ordered veal parmesan and it came as a veal patties. I expected cutlets as they also offer other veal dishes that I doubt are patties. My wife ordered one of the specials which was offered, I ordered an old favorite (shrimp Fra Deavalo). We love the food, as we have been there many times. I recommend Spasso to all of my friends. Food and service always top notch! One of Philly’s best! The food is phenomenal! The service is outstanding! It was a great spot for dinner before the last Flyers game of the season!! We had a fabulous meal. It was a birthday celebration, and I sent a message via Open Table, as well as mentioning to the water, that it was my husband’s birthday and would like a candle in his cake. To my disappointment, my request was not fulfilled. In any event, the evening was very special and greatly enjoyed. We would definitely go to dinner at this restaurant again. The food was delicious. Not bad, good pasta there! Veal parm made us come back to this restaurant! A great memory there... Chicken parm was also great! Rigatoni carbonera dish and also the chicken with grilled veggies (wonderful!) were all a hit. Will certainly come back next time we are in Philly. Waiter was authentic in his accent, could listen to him speak all night!! I LOVE this place! 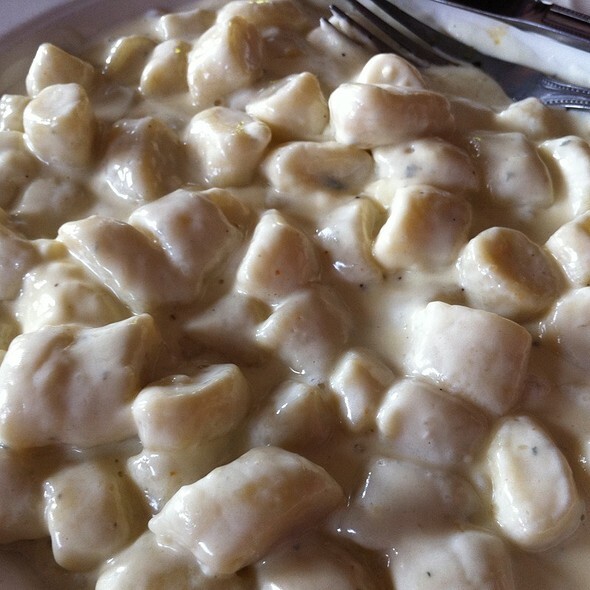 The gnocchi is amazing, especially the Gorgonzola gnocchi. My boyfriend loves the chicken Parmesan. I have never had a bad meal here whether it be lunch, dinner or restaurant week. Their specials are always delicious as well. If you're a dirty martini drinker, ask for the stuffed olives (they stuff them themselves). The only somewhat downside to Spasso's is the noise. It gets very busy and VERY loud so having a conversation at your table can get pretty difficult. A terrific place to have dinner: the price is right, the food tasty and the service excellent. It is good if you want to linger or need to make a show. They accommodate. Great food and service. Massimo is an outstanding chief. We love Spasso's both in Philadelphia and Media. We've never had a bad meal at either place. The food is alwasy delicious! My husband loves the grilled and fried calamari and gets this every time we visit. Pleasantly surprised. I didn't know where to eat before my concert at Wells Fargo. I chose a great restaurant. Would definately go back. Good food and service. Fair price and large portions. Five diners were all extremely pleased with their dinners. A pork chop (excellent), clams and pasta (great), caesar salad [perfect], shrimp and pasta(another winner). 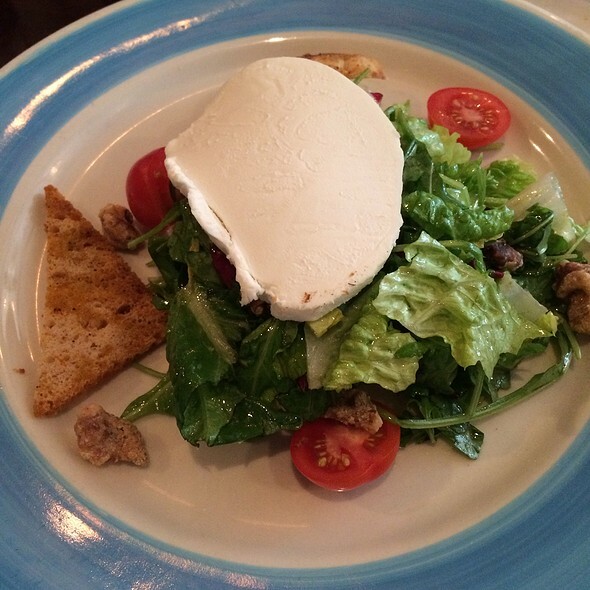 Spasso is one of our go-to restaurants when we are in Old City. The food is always good, the menu offers plenty of options, and the service is always good. Service was outstanding, food was good wouldn't say great. One person in our group had hair in their food. Wait staff took off bill. So Thank You, but I would come back again and I've been there many times. My friends and I went on a Sunday night, about 2 hours before their closing time. Ambiance was calm and cozy. Love the variety their menu offers along with how familiar the waiters are with the dishes we asked about. The hospitality and overall experience was amazing. AMAZING !!! You cannot go wrong with this place. Delicious from appetizer to dessert. Always love the unique vegetable caponata accompanying the bread. Hospitality at the bar and in the restaurant is the best. Food and ambiance were very good. Had the grilled calamari, bruschetta and shrimp/crab pasta - all were excellent! Great food and service. One of the best values for Italian food in the city of Philadelphia. I highly recommend Spasso's. Always fantastic! The food is amazing, the service is great, and they are always welcoming. We try to go at least twice a month. Fantastico! 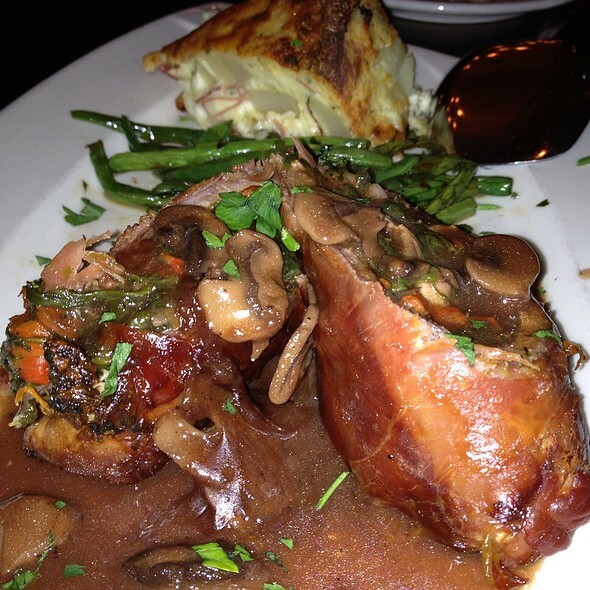 The restaurant has consistently good food and service and it has atmosphere. Spasso has been making great Italian food for years. Pasta is housemaid. 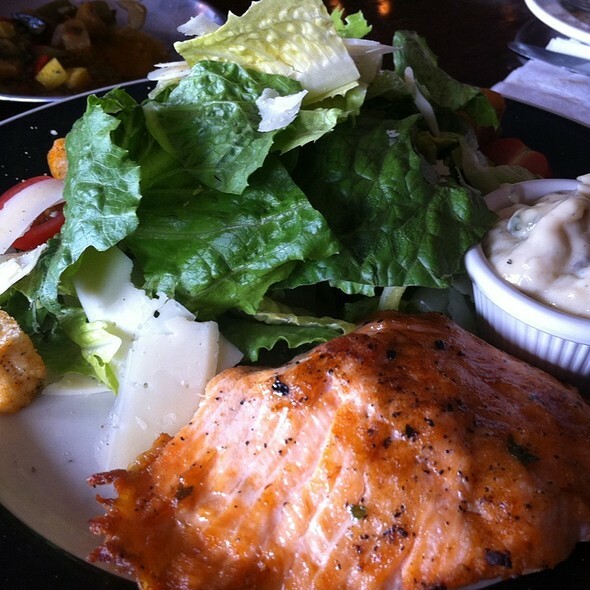 Seafood is fresh and perfectly prepared. 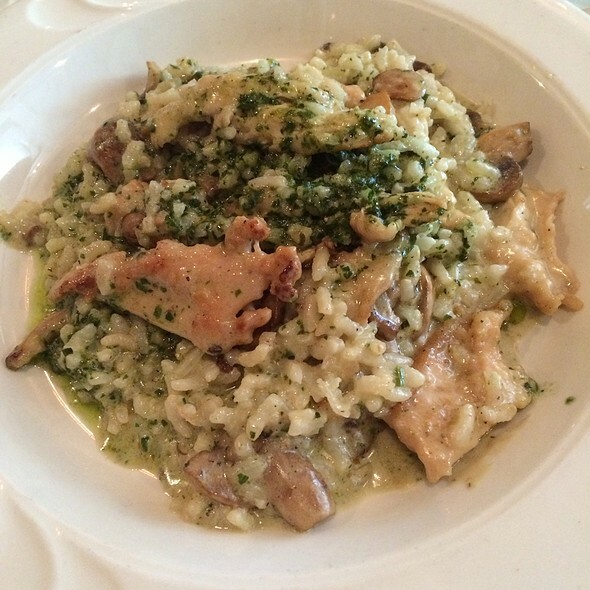 Chicken and veal dishes are plentiful and perfectly cooked. The wine list is extensive. And the restaurant offers fine service and excellent value. A must try. I was looking forward to dining at Spasso and I was sorely disappointed. Our server, John, took an inordinately long time to great us, only to say, with an overall negative attitude, “it’s crowded and I’ll get to you when I can. “ No smile. No water. Off he went. When he finally returned, he advised us to order everything at once,so we did fearring he’d never return. He did not tell us of any specials. A large table of people who arrived after us were served before us. Another server delivered our food. We both had fettuccine pomadoro. The sauce tasted jarred. An utterly underwhelming meal. Totally not worth the prices. The restaurant does NOT match the description. I should have listened to the Yelp reviews I read. I love the cozy feeling of Spasso Grill Philadelphia. The service and food were excellent. Never disappointed food is excellent. Sam was our server he is the best! Always look forward to coming! Phenomenal! Waiter was a bit snarky with his remarks about my girlfriends order- she ordered the Zuppa Di Pesce, which was a large dish but we did not know how large it was until it was brought to the table; when ordered, he made comments like “that’s a large dish, she must be really hungry” and “you must be hungry, you’re doing damage to that plate.” She didn’t mind nor did I about the comments, but if it was said to someone else, they might have gotten upset. Just a heads up to be careful with word! Overall, an amazing dinner and establishment. Would definitely recommend and go back. It was very busy but the waiter was a bit short with us and took long times between addressing us.